Blue Ridge Georgia is located in the furthest northern part of Georgia in amongst some of the most scenic mountains and rolling hills in the southeastern part of the United States. Blue Ridge is a tiny town with the most picture perfect little downtown area and some of the nicest antique shops in all of Georgia. Blue Ridge is referred to by some as the antique capital of Georgia. I referred to Blue Ridge as a tiny town because there are just a little over 1,000 people living there. However, that doesn't mean there isn't always something to do in Blue Ridge. Blue Ridge Georgia is known as the Gateway to the Blue Ridge Mountains so there is plenty to do and lots of places to spend the night or spend a week. Blue Ridge and Fannin County boast some of the nicest cabins with the best mountain or wooded views to enjoy a weekend getaway or a week long vacation. Of course you can always retire to Blue Ridge or Fannin County and enjoy that retirement living in a log cabin. Blue Ridge Georgia is located about 90 miles north of Atlanta and is about 30 miles from the border of North Carolina and Tennessee. To get the full feel of Blue Ridge and this scenic part of north Georgia you can take the Blue Ridge Scenic Railway throughout Fannin County to the next town. The railway stops in the middle of the downtown Blue Ridge right next to a great little coffee shop. The serenity you experience in Blue Ridge will make it hard to believe you are only an hour and a half outside of Atlanta. You can visit Blue Ridge any time and explore everything this picturesque little town has to offer. 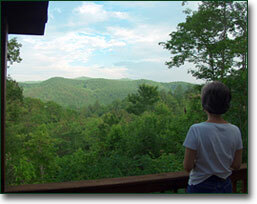 You are also just a few miles away from many attractions in this Gateway to the Blue Ridge Mountains. To find out all about Blue Ridge and the surrounding north Georgia area please visit the Fannin County web site.